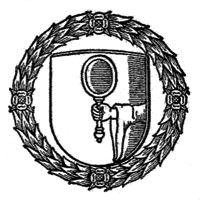 The Speculum fellowship represents a significant fulfillment of one aspect of the Medieval Academy’s continuing efforts to recognize and support extraordinary medievalists in the early stages of their careers. We believe that after the fellowship tenure, the Speculum fellow will be a more experienced scholar and editor and will be an exceptionally attractive candidate for academic positions, as well as for significant publishing and editorial opportunities. Continue to develop research program 1 day/ week. Assume responsibilities for a particular set of editorial tasks at Speculum. These tasks will include, but are not limited to: liaising with book review editors; contacting reviewers; checking citations for accepted articles; proofreading reviews, Brief Notices, Books Received, and Tables of Contents, and entering corrections; proofing full issues of Speculum. Participate in the cultural life of medieval studies in the Boston area. Reside in the Boston area during the fellowship period. The deadline for applications is 15 October. The application will consist of a cover letter detailing editorial experience and relevant skills, CV, unofficial transcript, and two letters of recommendation, at least one of which should directly address the applicant’s editing skills. All application materials, including letters of recommendation, must be submitted by 15 October 2016 for full consideration. There is no application fee. This entry was posted in Jobs for Medievalists, Speculum. Bookmark the permalink.